Vietnam Latca’s Filler Master Batch is a combination of calcium carbonate, plastic flexibilizer and other special additives. 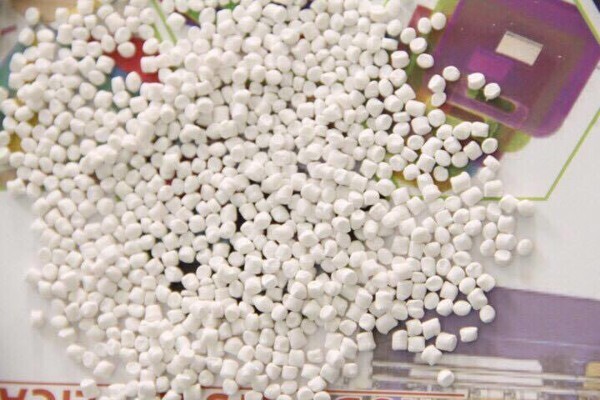 Our calcium carbonate is made of high quality and micro sized material (800~ 2500mesh) with PP and PE based, it has good dispersion and environmental protection, which can improve the surface antifriction, heat stability, toughness, hardness, rigidity and increase specific gravity of plastic products. Vietnam Latca’s Filler Master Batch is produced in a highly respective environment, with high quality process and selective raw materials. Focus on satisfying customer’s plastic needs, our expertise shares a global database of successful matches, which we combine with unequaled polymer knowledge to provide you with accurate master batches and precolored resins and compounds.